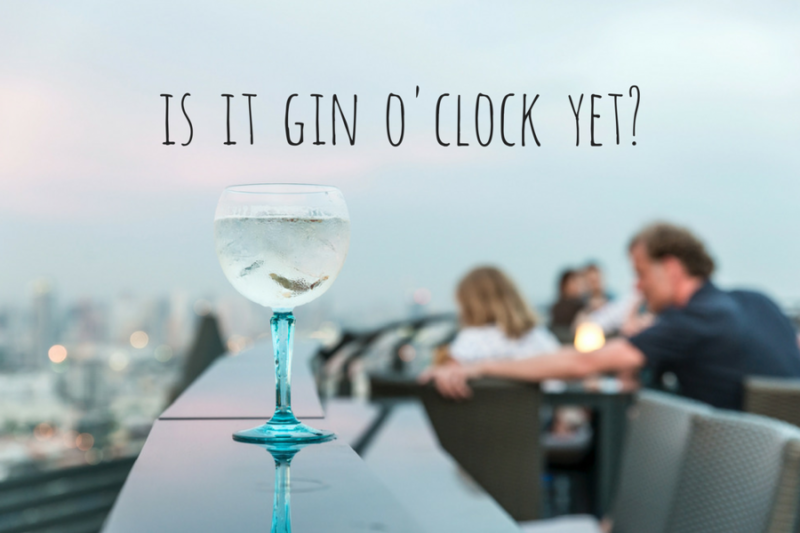 We’re certain that there are mums out there who don’t care for gin, but our ongoing anecdotal research seems to suggest they are in the minority. Whether getting kids up in the morning, in to bed at night or through a holiday journey is what pushes you to the ice and a slice, right now you should be spoilt for choice on your gin selection. For a spirit that was created in Belgium (though some say The Netherlands) and added to dissolved quinine to mask its flavour when treating malaria, it’s the British that have nurtured (ahem) its other, less-medicinal, benefits. In recent years, our British penchant for gin has driven somewhat of a gin renaissance. In fact, as this map shows from the Gin Guild of Great Britain, the country is covered with gin distilleries from industrial scale producers to small batch artisan creators. “Buy local” and drink gin are as synonymous with middle England rhetoric of the 21st century as holidaying in the UK (at least once a year). And while summer social occasions are rife with over-priced jugs of Pimms and stray sprigs of soggy mint, that equally complex spirit has yet to dominate society conversation or diaries in quite the way that gin o’clock has. Airs and graces aside, gin is a class-less spirit. Back in the 1700s it was once produced and drunk in such abundance that it was taxed to the hilt (you can imagine the riots). Nowadays, gin and its production are categorised under EU law depending on the process and how the botanicals and flavourings are added. But that’s science and we’re more interested in drinking the stuff… However, if you’ve yet to venture beyond the classic green of your Gordan’s and the reliable hiss of a newly opened Schweppes tonic, this gin guide is for you. Cheers! One man’s lifelong penchant meets home distillation, refinement and organic ingredients. Add in antique-style bottles and plenty of individual flair and one man’s mission to craft a fine gin is a nation’s staycation must-sip. Lemongrass and cardamom are the overriding infusions but the botanical mix is one of many sensory kickstarters including star anise and cloves. Quirkily, you can join a private tasting with The Butler, Ross Butler, himself. While the sun shines partake aboard his private speedboat. Come rain and dark nights a secret squirrel London location will be announced to you prior to the event. Now before you have a sip of this blue-hued organic gin after a tough day on the Welsh beaches, you pronounce it da-vee-lay. Have a sip, then see if you remember that afterwards… It’s a slightly more serious and industrially distilled gin than the chap above but each to their own and when on holiday in Wales it would be rude not to try the native gin. Stonking quality, organic spirits is what Da Mhile is all about and they like to experiment as they go, hence the seaweed (all sourced from Newquay in West Wales and the west coast of Ireland). Unsurprisingly, this gin is designed to be drunk alongside seafood and naturally makes a good chef’s friend too – we’re thinking mussels with that mariniere sauce adapted to use gin instead of Noilly Prat (or whatever wine is lurking in the fridge). Now if you can get over the detail that a Yorkshire gin distiller has opted for the American spelling of licence (and to be honest, after a gin who cares), you’ll love this small batch distillery’s ‘wild spirit’. From their selection of gins we bring you the Old Tom Gin as a sweet nod to the times of gin gone by. If you like your gin sweeter then this is a good place to start. It still smacks a peppery note or two but is generally delicate (and highly quaffable!) after a day on the Moors. When you understand the toil that has gone into the evolution of NB Gin, you’ll ask for seconds. When you hear that within two years of gaining its distillation licence it had been proclaimed the World’s Best Gin, you’ll just ask for the rest of the bottle to take home. This London Dry gin serves up its required juniper hit and some expectant citrus zing before bopping you on the nose with a whiff of pepper and leaving a lingering juniper flair. If you must share it (yes, you’ll want it all to yourself but you’ll also want to enhance your friends’ liquor cabinets too), taste it over ice or switch your standard G&T lime for orange zest. It’s the perfect addition to the kitty on a large group holiday, we think! Oh we do like to be beside the seaside (whether drinking gin or not, but now you definitely can do both!). True to Brighton’s best bits you have an art deco influenced label and a “unusual, playful and fiercely independent” gin. The best bit is the milk thistle botanical, which is both local (native to the South Downs) and restorative for liver function – top me up. If you’re on holiday in Brighton look out for the Brighton Gin bike delivering supplies to local stockists. Though try to refrain from hailing it; it’s not licensed to serve, however needy you look. So that lot gets you through five nights of the week, leaving you free to take a weekend break before you need to cope with the working week all over again. End of term (or half term) will be here before you know it. And look at it this way, at least you’ll have a favourite tipple to take away with you and impress your friends with when the time (finally) arrives. Cheers!